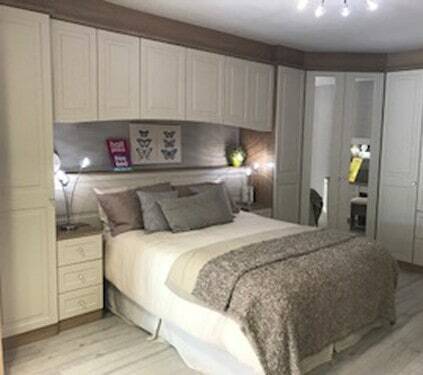 Here at Starplan fitted bedroom Wednesbury, we strive to deliver an exceptional experience from the minute you walk through the door. 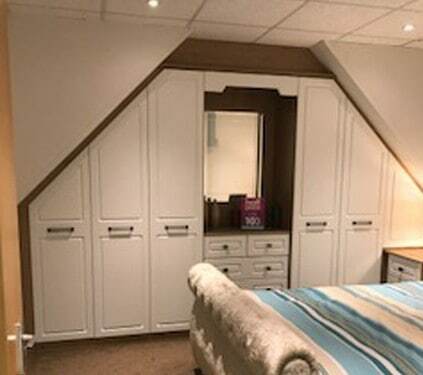 If you want a newly fitted bedroom, we will make sure that you get the solution which fits your space, your colour scheme and maybe even more importantly, your budget! 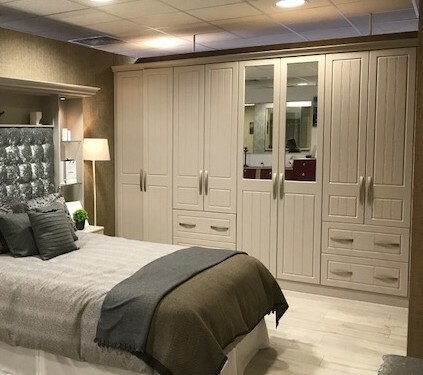 We have been in the furniture industry for over 40 years, and thanks to that time and experience, we know we can provide you and all of our customers with the highest quality fitted bedroom Wednesbury. All our bedrooms are measured and fitted by our professional team, and everything is manufactured to your specific specifications. Our fitted bedroom team aims to make the process as easy and as tailored to you as possible. That includes offering a free bedroom design, finance plans to suit you and even free fittings! We also offer an online fitted bedroom Wednesbury colour visualiser. This tool allows you to choose your style of bedroom, for example, traditional or modern. You can then personalise the colours and finishes, to truly make the room your own..
Our showroom is based in the Javelin Park shopping centre, a stone’s throw away from Wednesbury Park train station. Our brilliant fitting team are able to most of the surrounding area, which includes Caldmore, Bilston and Tipton. Why not call into our Starplan Wednesbury showroom, and find out what our team can do for you. With over 30 styles available in the oak fitted bedrooms Wednesbury range. It’s well worth a visit to our Wednesbury fitted bedroom showroom. The fabulous soft Odessa Oak fitted bedroom and other ranges to create a timeless look. There is nothing shabby about our beautiful range of fitted bedrooms Wednesbury. Check out these porcelain units in our Wednesbury store. Take the first step to create a traditional yet chic bedroom. 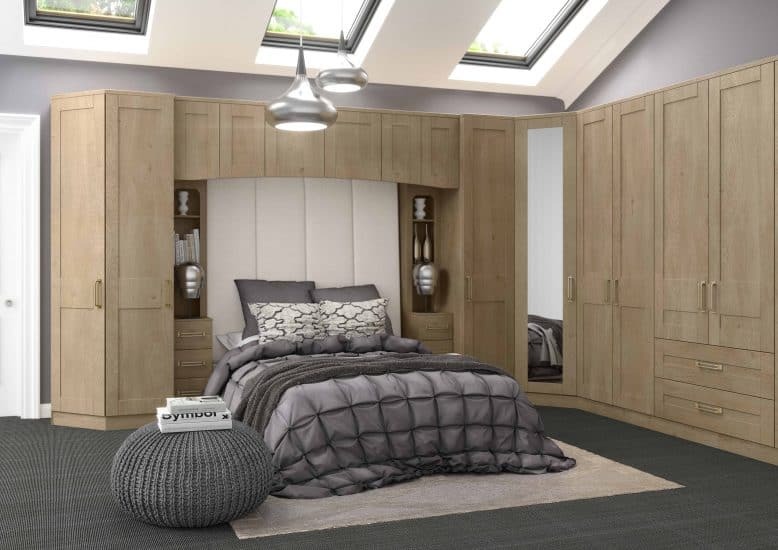 Get a strong modern fitted bedrooms Wednesbury style with Scandinavian references. This stylish bedroom is on display in our Wednesbury Showroom. Create a bedroom with a finish such as Graphite Grain & Cashmere. High Gloss Fitted Bedrooms Wednesbury available in multiple colours to create a sophisticated fitted bedroom. A Bedroom that is good looking and practical, and is near perfect! The mellow gold tones of American Cherry fitted bedrooms Wednesbury will create warmth & sophistication. 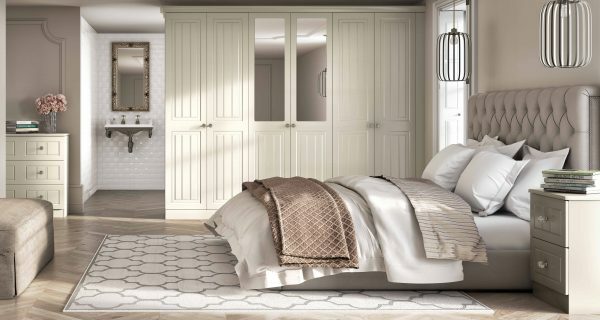 Choose from a fitted bedroom range; perfect for those lazy mornings and chilled-out evenings. Choose our range of Traditional Bedrooms Wednesbury. It’s not always possible to escape to a chic hotel when you feel like it. 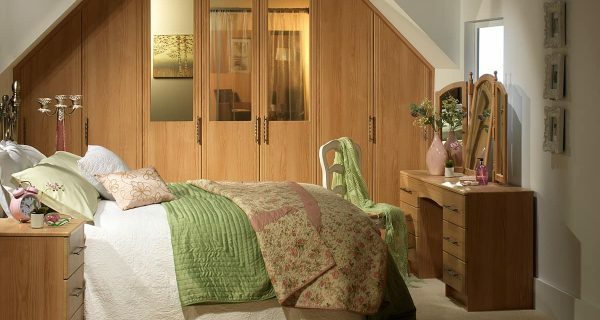 Our Wednesbury bedroom showroom provides great ideas to create luxury bedrooms. Choose easy on the eye and easy to clean Childrens Fitted Bedroom ranges in our Wednesbury bedroom Showroom. Create a pink paradise or super heroes secret lair to create a fun modern room. Cool, Calm and Collected that’s our Maple Fitted Bedrooms Wednesbury range. Our Wednesbury bedroom showroom displays how you can organise your home, work life with a fitted bedroom or home office. Nothing beats a walnut Fitted Bedrooms Wednesbury for its naturally rich, dark finish. 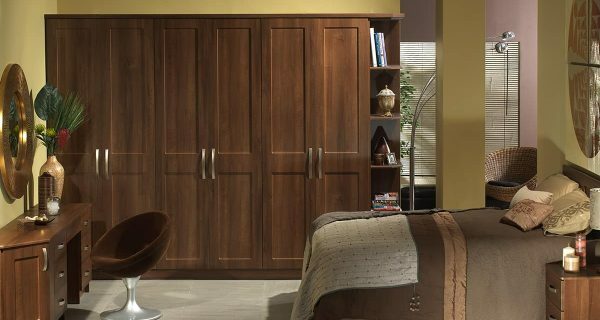 Our Wednesbury bedroom showroom showcases rich chocolate colours. Plus, a range of leather accessories and bedroom furnishings.